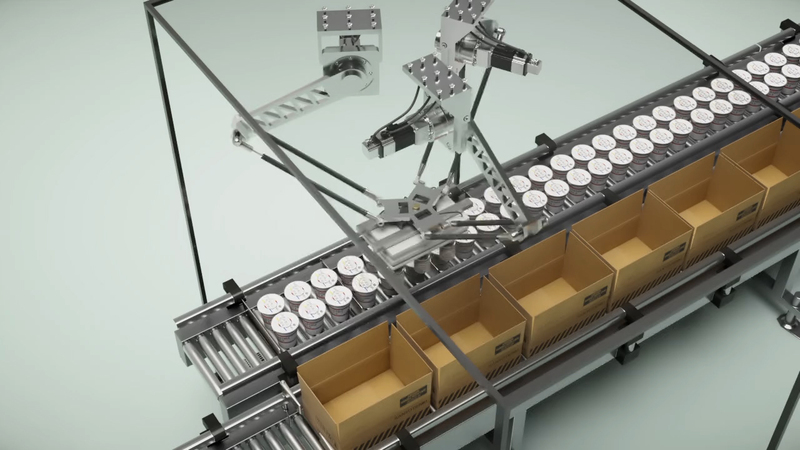 Device for packing products in boxes. Servo motors are used for driving the robot, and servo amplifiers are used for synchronized motor control. For controlling robot rotation angle, speed, and orientation.